Your first pair of climbers sure are comfy, but they don't really hack it now that your climbing prowess jumped from "beginner" to "intermediate" this past season. 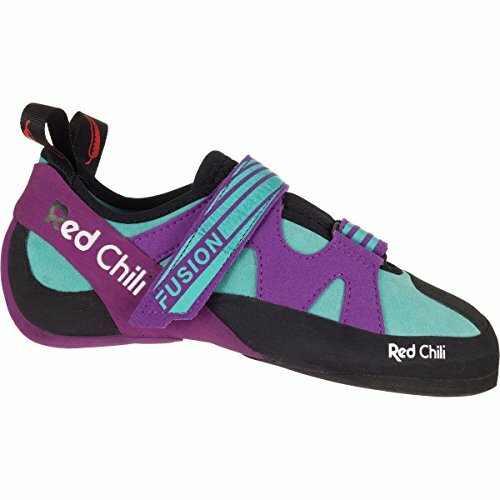 Although you aren't quite ready to squish your toes in shoes that are as downturned as they are uncomfortable, the Red Chili Women's Fusion VCR Climbing Shoe maintains comfort while offering a bit more aggression than flat, beginner shoes. Versatile for climbing gyms, boulder fields, and crags, the Fusion features Vibram's XS Grip rubber for long-lasting traction on slabs, edges, subtle overhangs, and a variety of different styles of climbing. If you have any questions about this product by Red Chili, contact us by completing and submitting the form below. If you are looking for a specif part number, please include it with your message.